D2000 replied to D2000's topic in Not Porsche - Everything Else. D2000 posted a topic in Not Porsche - Everything Else. So my wife needs/wants a new (used) car. Her only requirements are that it be modern, European, look nice and have four doors. Mine on the other hand are that it should be RWD or AWD, have a decent petrol engine and most importantly depreciate as little as possible. I'd like to spend less than $60,000, but could potentially spend a bit more if it was worth it in the longer term (because of less depreciation). It will do about 5,000km per year. I like the c2009 Mercedes C63 AMG, but my wife things they are ugly. An early Macan S we both like, but not sure how they will go with depreciation in the long term - hopefully not like a Cayenne. What else should we look at? I guess you just take the risk. And if it doesn’t work out you can sell it in the same manner! Very nice. 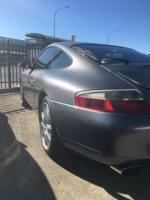 Next step some GT3 side skirts to match the bumper? @Tips forget the air coole cars. 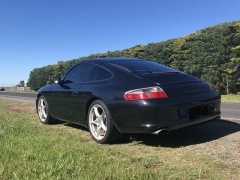 Look at this thing for $60k - https://www.carsales.com.au/cars/details/2006-Porsche-911-Carrera-4-997-Manual-AWD-MY06/SSE-AD-5969924?pageSource=details&id=SSE-AD-5969924 price too good to be true? Best protective film i've seen!